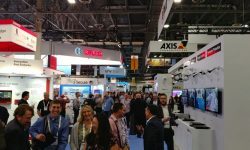 ISC West 2019 is being held April 9-12 at the Sands Expo Center in Las Vegas. 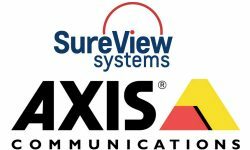 Ahead of this year’s show, SSI reached out to Tyco Access Control and Video Solution General Manager Eli Gorovici, to find out what the company will be showcasing at ISC West. 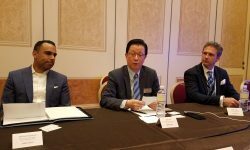 What is the top product or offering your company is showing off at ISCW this year, and what makes it unique or special? 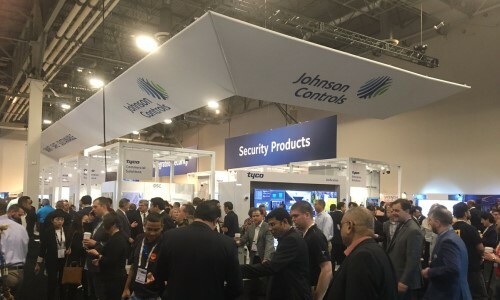 This year at ISC West we are introducing our newly combined Tyco Access Control and Video Solutions business unit, which combines and aligns operations of those organizations, including product development, product management, third-party integrations and customer support, into one cohesive business. As part of this combination, our solutions will be optimized around four pillars of technology – Cybersecurity, Cloud Solutions, Unification and Automation. These are areas we believe are critical to ensuring the success of our customer’s security and business operations both now and well into the future. What other products or offerings would you like to highlight, and what are some of their unique qualities? We’re excited to be introducing many new cloud solutions that offer the benefits of Cloud to our customers in both access control and video to maximize their storage and accessibility needs while providing scalability, data security and cost reduction. Our exacqVision Cloud Drive Storage offers easy, integrated access to cloud storage for critical video, supported by the exacqVision G-Series Micro NVR. The G-Series Micro is a compact cloud ‘gateway’ video recording solution designed for customers who want to leverage the enhanced accessibility and reliability of cloud video storage with low upfront costs. Our Cloud capabilities continue to grow with a C•CURE 9000 security and event management system cloud offering. 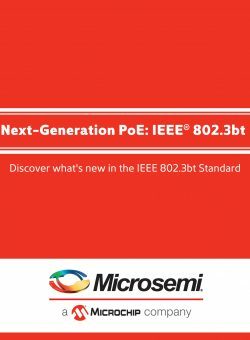 We are giving users the opportunity to bring the robust and comprehensive C•CURE 9000 platform into the cloud. Kantech hattrix also enables powerful Cloud-based access control utilizing the industry-renowned EntraPass security management software, providing users with a full spectrum of hosted and managed access control services which ensures users get the solution that is appropriate for their specific needs. For enterprise customers, Enterprise Manager, now an integrated part of the exacqVision Enterprise edition VMS, gives users ready access to enhanced health monitoring, user management, administration of software updates and high-availability capabilities at no additional cost. For large scale deployments, Enterprise Manager is optimized to run on the new exacqVision EM-Series server, which can now monitor and manage up to 2,000 exacqVision Enterprise recorders. 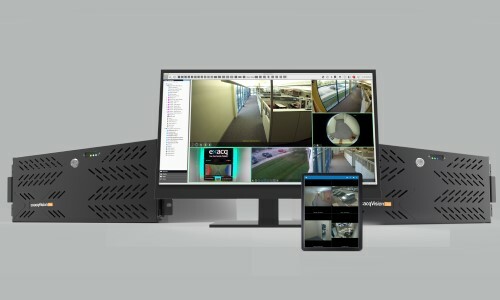 From American Dynamics, the victor Video Management System (VMS) and VideoEdge Network Video Recorder (NVR) solution version 5.4 is a competitive step forward in enterprise-scale camera deployments, facial biometrics, and cybersecurity preparedness. Large IT-centric systems are also addressed in this latest release with the VideoEdge Virtual VMware NVR capable of industry-leading throughput. Our Illustra IP camera line continues to expand to include new form factors in both our Pro and Flex families, some of which feature new smart technologies that automatically adjust settings such as Smart Wide Dynamic Range available on the Pro Gen3 Mini-Dome. This latest form factor also includes powerful integrated IR capabilities uninhibited by the bubble-free design. Installation profiles for a range of different applications such as retail or gaming provide pre-set configurations that can be deployed out of the box to reduce configuration time. On the access control side, Innometriks High Assurance Security Solution is completely integrated into Software House C•CURE 9000 access control system with the authentication module embedded in the iSTAR Ultra door controller providing strong identity and biometric authentication for mission critical environments. The highest protection that was once practical only for PIV card-wielding government applications is now a real option for commercial organizations without adding significant resource burden, user inconvenience or crippling costs. What else is new or noteworthy about the company for 2019? Our approach has centered on a unified security management platform for a number of years, but we are deepening our focus on the user experience and the interconnectivity that is required of the various security and business disciplines. By combining our business units on the functional level, we are designing cyber-resilient, scalable and intelligent solutions that can be access control or video surveillance-centric and still provide opportunities for efficiency, added functionalities through third-party integration and ongoing customer support. 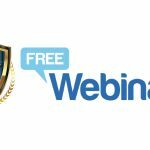 What is your company’s overall value proposition to security dealers and integrators? Why should they do business with you? Dealers and integrators buy from the Tyco portfolio for many reasons: our strong brand legacy from within our diverse technology portfolio, our ability to leverage integrations between our brands for a more complete, end-to-end security offering, and most of all our focus on providing solutions that can increase revenues for our dealers and integrators. The ability to leverage the cloud for service revenue and drastically lower installation costs for dealers and integrators is huge and will only continue to grow as cloud adoption in general grows. What do you see as some of the top opportunities in the marketplace right now? As a manufacturer this is also an opportunity for us to strengthen our value add and continue to offer choice to customers based on their current and future needs. The worsening threat of cybersecurity means that protecting customer data is core to our solutions, and our dedicated cybersecurity team is available 24/7 to address customer concerns or threats to system security. Our growing Cloud solutions portfolio offers customer choice, whether end users require a slow migration path to full Cloud, a hybrid of on-premise and Cloud or traditional on-premise operations. Our experience in unifying our access control and video technologies into a singular user interface brings together our various technologies for greater insight and situational awareness. At the same time, our solutions are imbued with automation solutions such as Machine Learning and AI to build intelligence into our products for increased efficiency to further streamline security and business processes. Visit Tyco at booth #20005.